I think the last time I saw the sunrise was probably two and a half year ago over the Indian Ocean. 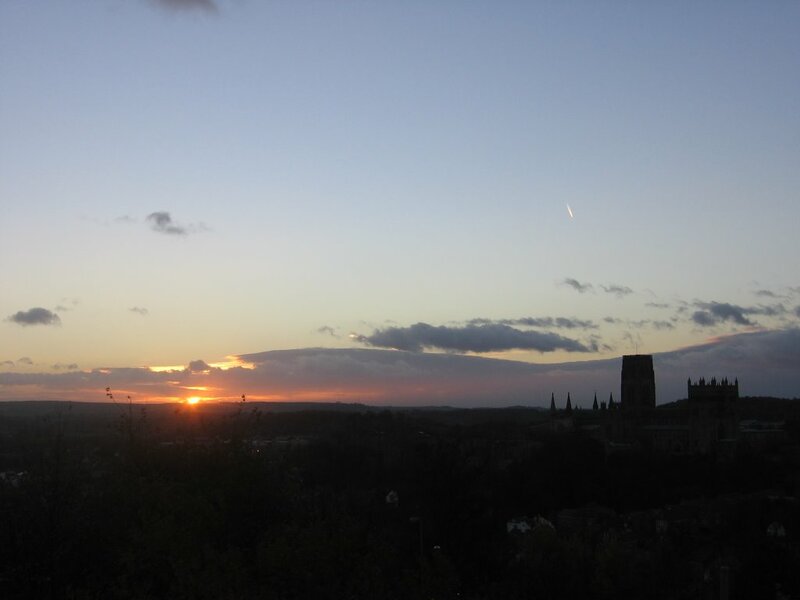 This morning I watched the same sun emerge over a bleak horizon and breathe colour over little Durham. Frazer, Heidi, Tarbs, Tammy, Sarah Elizabeth Brown and the Salzwedels were nowhere to be seen, instead I was left to reminisce about rusks and Gonubie with two guys I’ve been totally blessed with having around this last year, Rob & Tom. We were filming the sunrise for an evangelism training video looking at the Resurrection, and then spent a few minutes doing off-focus shots of our feet for ‘disciples-running-to-the-empty-tomb’. It was a special morning: watching the morning break in is always a special experience. I don’t think about South Africa a lot, I suppose that’s the nature of memory – you’re only taken back when a moment/sound/smell/taste/joke suddenly makes you recall what once was. I love remembering SA, but how I wish I didn’t need sunrises and memory-joggers to point me to God’s faithfulness. To speak about grace again it amazes me that God is so patient with us. I mean, getting up to catch a glimpse of God’s faithfulness in the sun rising is an analogy for our whole lives – too often lazily spent in complacency without noticing God’s hand in all we do and have. But He still loves us, and keeps doing what He does. Thanks Robin, you inspired me – I’m metres from the Indian right now, I’ll be there in a couple of hours!